I love this bedroom. 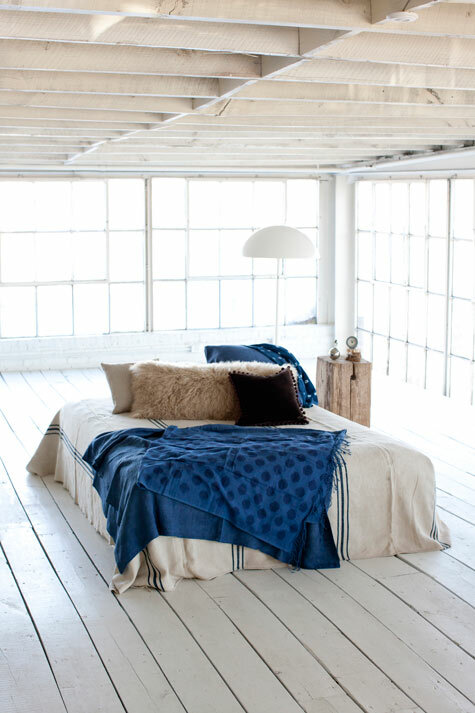 I think I'd have extra sweet dreams sleeping on this bed in this bedroom. It's so open and peaceful and light and bright! Think about the morning sunlight streaming in those windows. Fantastic. You should check out the whole house at Design*Sponge's Sneak Peek. ewh - I love that too! So so pretty.